Seventy years ago this year the Netherlands began its first so-called ‘policing operation’ – an attempt to bring down the Indonesian republic by force. As is clear from Wim Wertheim and Hetty Wertheim-Gijse Weenink’s memoirs, negotiations on a peaceful transition had mainly failed because the Dutch underestimated the extent of support for the nationalists. Couldn’t sleep. I now realise that hunger can drive you mad. In the middle of the night Sarah comes to our kollong (plank bed) and says “The war’s over!” “Come on, don’t be so silly” – we’ve heard it all so often before. What my mother describes in her diary is intriguing. She could understand, speak and write Indonesian very well, but couldn’t make out what was being said over the loudspeakers. Yet she instinctively felt that something historic was taking place: at ten o’clock that morning, 17 August 1945, two days after the Japanese surrender, Soekarno and Hatta were standing with a small group of supporters on the veranda of the house where Soekarno had come to live after his years of imprisonment and exile, very close to the ADEK camp. Planted in the front garden was a stick of bamboo with a red-and-white flag – the forbidden symbol of independence – that had been hurriedly sewn together the night before. With Hatta at his side, Soekarno read a brief statement from a piece of paper. The festivities would last well into the evening. We hear we have to stay in the camps for a while longer. Our Dutch commander wanted to raise the Dutch flag, but she wasn’t allowed to. “The population aren’t to be trusted,” we’re told. Best to keep as quiet as possible. Is this peace? And where are our husbands? Are they still alive? At last reports from the Red Cross. Thank God, Wim’s alive! But Ans’s husband is dead, and so is Mia’s, and so is Judith’s. Oh, how awful it all is … How can we celebrate now? And we have to stay in the camp. Protected by the Japanese … from enemies they’ve suddenly become protectors and friends. My parents had gone to the East Indies in the 1930s for economic reasons. The economic crisis in the Netherlands had made the colony one of the few places where recently graduated young men could find a job. Their memoirs and diaries reveal that at first they took colonialism for granted. Although in the Netherlands they moved in progressive circles – for instance, they played music together to mark the golden jubilee of Aletta Jacobs’s doctorate in 1929 – even there it was considered reasonable for whites to rule over coloured peoples. Thus, as inexperienced newcomers on the boat to the Netherlands Indies they were an easy prey for the indoctrination of those returning from leave, who knew what they were talking about when they described thieving Indonesian servants and the need to maintain their distance. When on arrival in Batavia’s Tanjung Priok harbour they were welcomed by an old uncle who had married a Eurasian woman there, my mother caught herself briefly hoping that their new shipboard friends had not noticed the group of coloured cousins. My mother joined the Hutspotclub (‘Hotchpotch Club’, from the name of a Dutch dish of potatoes mashed with carrots and onions), a women’s club that organised communal meals. 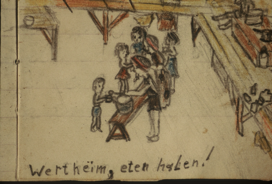 On the board the three ‘races’ – Indonesian, Chinese and European – were equally represented and the seating of the members at the meals was also a ‘hotchpotch’: as racially mixed as possible. At first the European women took it for granted that the evenings should be chaired by a Dutchwoman; but when a request came ‘from the eastern side’ to take it in turns, this was finally accepted. Only in the camps – as they always emphasised – did my parents separately conclude that the Indonesian people were entitled to independence. 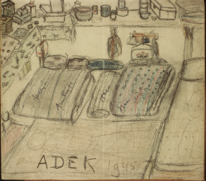 Their own experiences of humiliation, racism, injustice and hunger in the Japanese camps played a primary part in this. They did not want to do the same thing to others. The camps also sharpened their minds. They read books that prisoners had brought into the camp and were swapped among them, and had discussions with the other inmates. My father above all learned a lot from the socialists Bernard van Tijn and Jaap de Haas, who both supported Indonesian independence (Van Tijn had been the secretary of the Visman Committee, and De Haas had done important work for health care in the East Indies as a paediatrician). On 30 August 1945 my father and a friend walked out of their camp near Bandung and caught a train to Batavia. Later he always said grinning that such things are not at all difficult in times of confusion – they had simply walked out through the gate without the Japanese being able to do anything about it. They hastily set up the Batavian Red Cross and found out where their wives and children were. On 9 September I suddenly saw him arriving at ADEK on a ramshackle bicycle – you could hear the pedals creaking. He was wearing shorts, what you would now call a T-shirt and sandals on his bare feet, and we recognised each other at once. We children and my mother were soon allowed to spend the weekend with him in turns in the house of the Chinese friends who had hospitably given him shelter in their garage. Not long afterwards my father found a temporary place for our family to live in Java Street. Our own home had been stripped bare, down to the electric wiring. Meanwhile contact had been made with our family back in the Netherlands, who of course were overjoyed that we had survived the war. 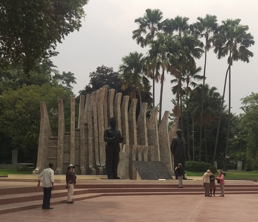 In mid-November 1945 my father had a discussion with the personal envoy of the Dutch minister for overseas territories, in which he called for contact to be made with the Republic of Indonesia’s prime minister-designate Soetan Sjahrir. ‘I explain that with the coming into power by the Sjahrir cabinet a few days ago a unique opportunity has arisen for negotiations, and that the Netherlands should seize this opportunity with both hands,’ he writes in his memoirs. ‘I argue why de facto recognition of the Republic is in my view politically inevitable. I urge that Sjahrir should be offered far-reaching political concessions before his government is confronted next Sunday (25 November) with the republican representative body, in order to strengthen his position against terrorists and extremists. This will not prove easy, for personal contacts between the Dutch and the Indonesians have become almost impossible this November.’ My father was instructed to try and make contact with Sjahrir. One hot November afternoon I was playing with my sister and my little brother behind our house in Jakarta. The soil was warm and damp, and perfect for building a big castle. We made stones that represented knights running back and forth, and were shouting loudly at each other. Suddenly our mother ran out of the house. She whispered to us that an Indonesian was coming to visit, and because no-one was supposed to know about it he would park his car in the back garden. Bewildered, we sat on the edge of the veranda, wondering if our castle would be spared. A black car hurtled into the drive, turned sharply left into the back garden and stopped… just in front of our castle. Soetan Sjahrir got out and was quickly led inside. The non-conformist intellectual Sjahrir had broad support among young people. He was a left-wing socialist and anti-fascist who had always refused to work with the Japanese, and so the Dutch authorities saw him as the only acceptable representative of the nationalists. He had briefly studied Law in the Netherlands in the beginning of the thirties, where he had made friends with socialists such as Jef Last, Sal Tas and Jacques de Kadt, who despised the social-democratic SDAP party’s ‘champagne-drinking hypocrites’. 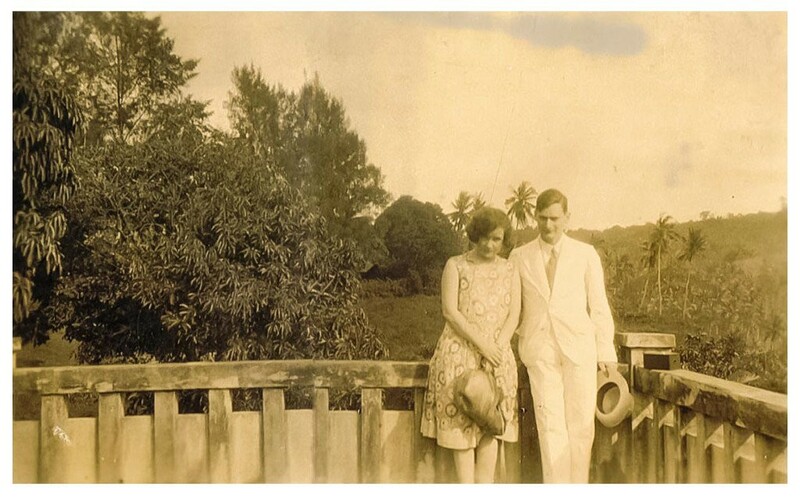 Sjahrir and Tas’s wife Maria fell in love, and in 1932 she followed him out to the Netherlands Indies, where they married in the Islamic religion. They walked hand in hand through the city of Medan in Sumatra, both dressed in traditional garb. This was more than the Dutch whites could stand, and five weeks later Maria was shipped back to the Netherlands. The couple would not see each other again until after the Second World War. Sjahrir was also critical of the independence movement itself. He felt that the pure nationalists had a lack of ‘open-mindedness and must rid themselves of suspicion, hatred and their inferiority complex’. Only then could there be equality. He soon saw the rise of fascism as the greatest threat to world peace. In 1938 he stated in an open letter from his place of exile that ‘once the war in the Pacific comes, the popular movement must help defend the country’. To achieve this, the Dutch authorities would have to transfer some of its power to the popular movement. They would have to treat it as an equal partner. Sjahrir and my father had several mutual friends and acquaintances, and the conversation proceeded smoothly. But then comes the disappointment. He writes: ‘Early the next morning I climb onto my bicycle and ride to the palace to make my report. I am expected to reproduce the contents of an hour-long conversation in just a few words. Rather disconcerted, I comply with the request; but I no longer have much faith in my mission.’ After the Dutch authorities show even more signs of indifference, my disillusioned father concludes that they evidently no longer need his assistance in carrying out their policy. ‘Thus ended my first and last political mission.’ In early 1946 we returned to the Netherlands. 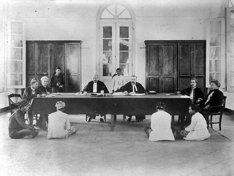 On 15 November 1946 talks eventually led to the Linggadjati agreement, in which the Netherlands undertook to acknowledge the republic’s authority over Java, Madoera and Sumatra; the republic would become part of the United States of Indonesia, which would become part of the Dutch-Indonesian Union, headed by the Dutch monarch. From the outset this compromise was controversial on both sides, and on 20 July 1947 the Netherlands withdrew from the agreement. One day later the first so-called ‘policing operation’ began – and Indonesia’s secession thus finally degenerated into colonial war. A nineteenth-century physician and feminist who was the first Dutchwoman to be awarded a university doctorate, in 1879. Before independence the Indonesian capital Jakarta was known as Batavia.